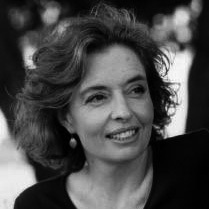 Michele Leggott, a New Zealand poet, critic and editor with many books to her credit, completed a PhD at the University of British Columbia, Canada (her dissertation on the American poet Louis Zukofsky was published in America as Reading Zukovsky’s ’80 Flowers’ and was selected as an Outstanding Academic Book of 1990 by U.S. magazine Choice). Her first book of poems, Like This? (1988) won the *PEN First Book of Poetry award. It was followed by Swimmers, Dancers (1991), DIA (1994) which won the New Zealand Book Award for Poetry, and As Far as the I Can See (AUP, 1999). Milk and Honey (AUP, 2005) is Leggott’s fifth poetry collection. Among the books she has co-edited is Young Knowledge: The Poems of Robin Hyde (2003), which was named by the New Zealand Listener as Book of the Year for 2003. She is Associate Professor of English at The University of Auckland (N.Z.). All poems by Michelle Leggot reprinted from Milk and Honey (AUP, 2005) by permission of the author.